Northern Territory in Australia contains land like none other. The terrain in the area is as diverse as they come, from un-tamed and unpopulated regions to vibrant, tropical wetlands. There’s a bit of everything in Northern Territory, and the only way to see it all is by booking a tour. Northern Territory tours allow you to see the best destinations in the area, from the Nitmiluk National Park to the Red Centre. 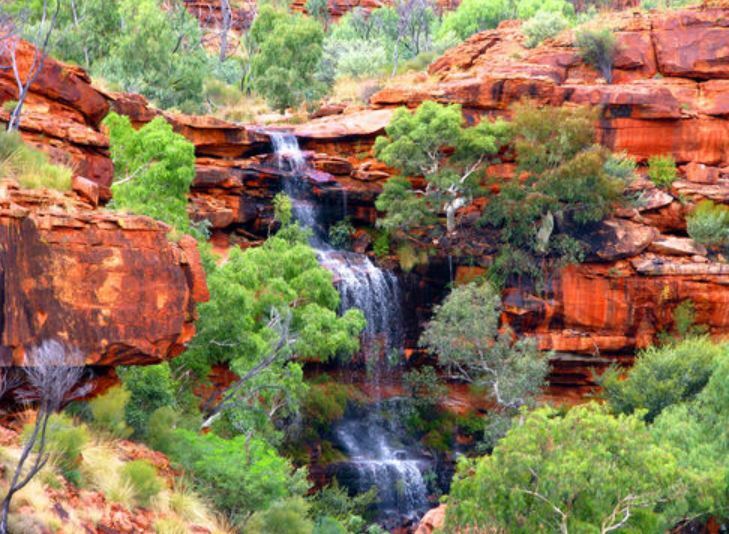 With our Northern Territory travel packages, you’ll explore the top attractions and destinations! Northern Territory is a hotspot for tourists as it offers an inside look at Australia’s unchanged culture and rich aboriginal heritage. The area is well known for it’s long red terrain with unbelievable water sources, offering refuge to a diverse wildlife, including kangaroos and crocodiles. Northern Territory tours take you through the heart of the wilderness to explore unbelievable attractions. The top Northern Territory travel destinations include the notable landmarks Olgas and Uluru. Take a tour of Olgas to see the 36 domes of sedimentary rock towering over Uluru. Explore the City of Darwin and Alice Springs. City of Darwin features an interesting urban center with a cultural mix, while Alice Springs is an isolated town with the true spirit of the Australian Outback. Plus, we also offer quality accommodation packages to make the most of your Northern Territory travel experience. We offer everything, from luxury resorts and spas to cozy bed and breakfasts and rustic campgrounds. With our tour and accommodation packages, you’ll explore Northern Territory the way it is meant to be seen. Tour the finest restaurants, mingle with the locals or seek adventure in the great outdoors. Our tours are customizable for families, and we even offer eco-friendly tours! No matter if you’re touring Jim Jim Falls or exploring the Reptile Centre, you’ll have a vacation to remember. Let us help you with your travel needs to begin exploring the great Northern Territory today!